Mariam Ibrahim: Sudanese "apostate" arrives in New Hampshire. 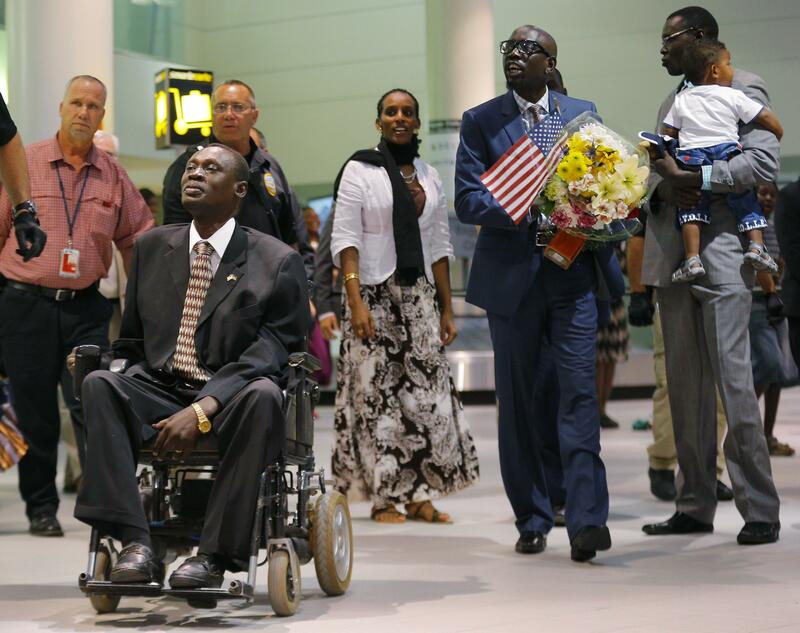 Daniel Wani (left, in wheelchair—he reportedly suffers from muscular dystrophy) and Mariam Ibrahim (center) arrive at the Manchester, New Hampshire, airport. Wani is an American citizen; according to CNN, he has lived in Manchester since 1998. More than 500 refugees from southern Sudan have been resettled in the area in recent years, the network says.